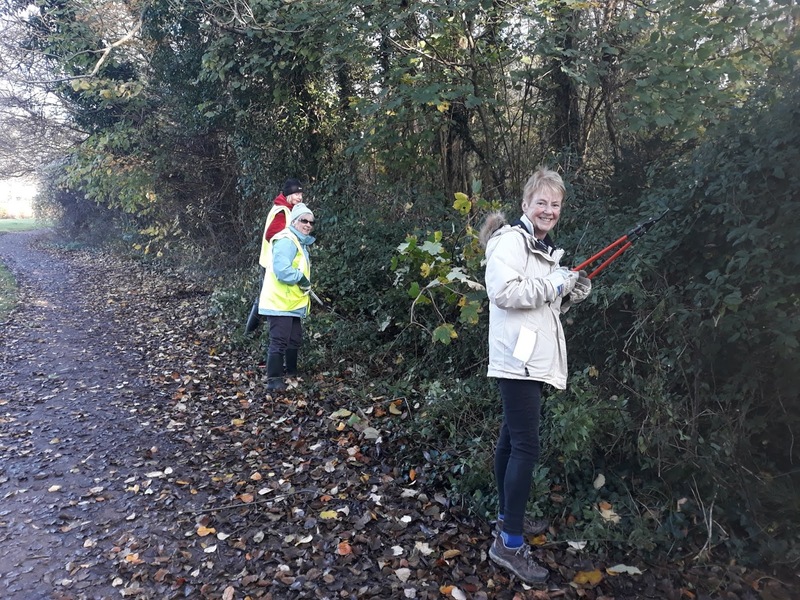 On a mild and sunny workday the volunteers met at Heol Esgyn Bridge to tackle the drainage channels in the paths through Woods Covert and also to cut back the vegetation on the path beside the stream. We will be tidying up our newly coppiced hedge and tackling the paths. Mulled wine and mince pies will be there to cheer us up! Please come and join us for the last workday of 2018!